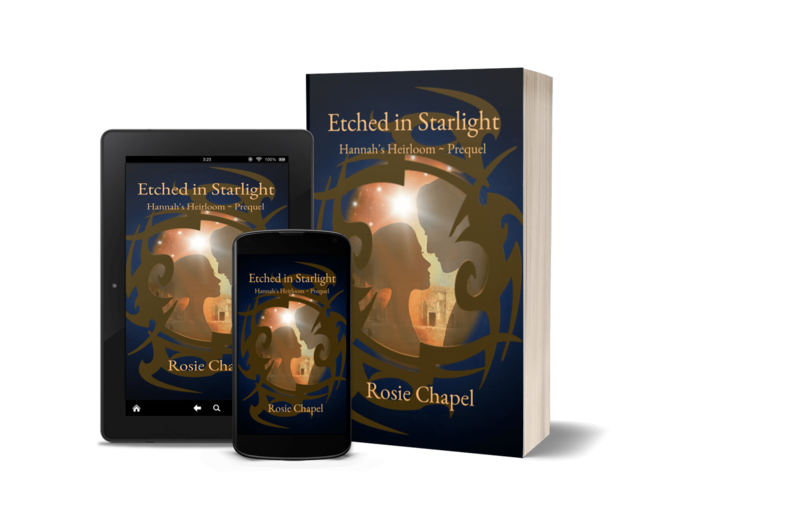 While I was editing Embers of Destiny, I found that I wasn’t quite ready to say goodbye to my characters and decided to do write a prequel (as you do!). 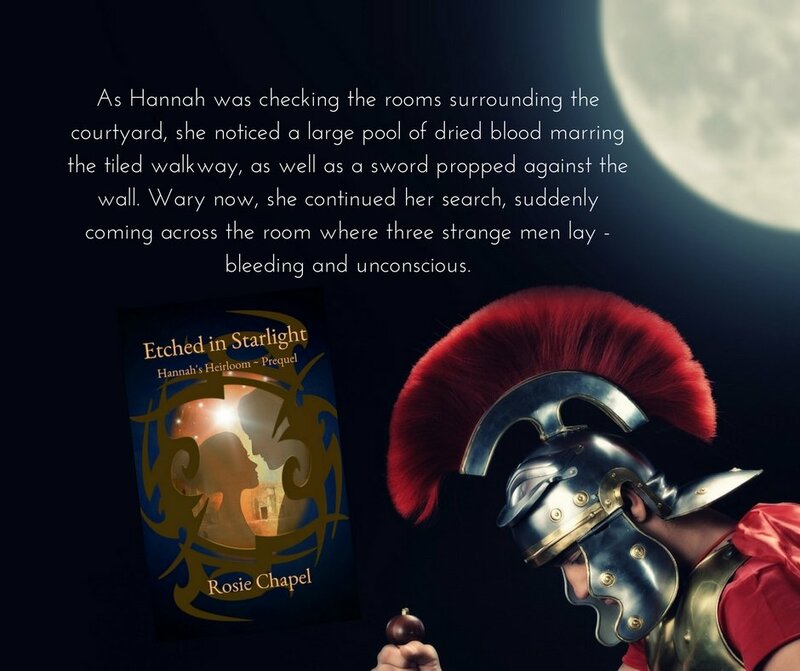 Rather than try to confuse matters by providing a back story for both couples, I thought just to concentrate on Hannah and Maxentius and their lives before they met on Masada. It proved to be quite challenging as Maxentius was involved in the Armenian campaign and the wars between Rome and the Parthians, while Hannah was growing up in Jerusalem on the eve of the Great Revolt (or first Jewish-Roman War). Having only a passing understanding of Roman military tactics, I spent many fascinating hours researching Roman battle manoeuvres. Determining which legions were part of the campaign, where in Armenia they were deployed, their respective commanders and the terrain on which they would engage the enemy – for this affects their strategies. On top of this there were the logistics involved in moving vast numbers of soldiers between destinations as well as the diverse methods employed to keep them occupied when they weren’t fighting. 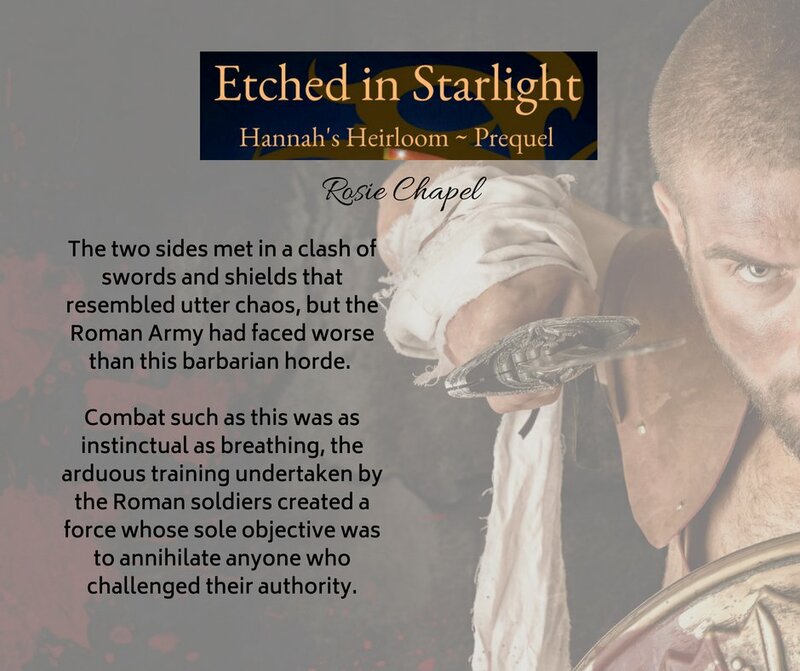 For Hannah’s story, not only did I investigate the origins of the Great Revolt, I also increased my knowledge of ancient healing techniques and how they handled surgical operations in what we would consider to be a less than sterile environment. It was also exciting to be able to incorporate all those little details about her past that crop up in the trilogy, about which she has little memory. Maxentius ~ Only eighteen years of age, army recruit Lucius Maxentius Valerius, arrives in Armenia, a world away from the comforts of Rome. Rather than a career in politics, as his family would have preferred, he has chosen a life in the military. Being a soldier in the Roman Army is not for the faint hearted; there is no such thing as an easy campaign and, here in the wilderness of Armenia, they face the Parthians, a formidable enemy, one whom the Romans underestimated once before — to their downfall. This does not deter Maxentius; he has long wanted this life. It becomes apparent, that Maxentius is a born solider. His uncanny ability to anticipate the actions of the enemy, desire to understand and empathise with the local populace and reasoned perspective on any given strategy, gains the young man the respect of comrades and his superiors and he is promoted with unusual rapidity. A soldier with such instincts is a desirable commodity and, after four years in Armenia, Maxentius is dispatched to Masada, an isolated outpost in the middle of Judaean Desert, taking command of the local garrison. Although a rather mundane assignment, it would be a welcome respite after several years of warfare. 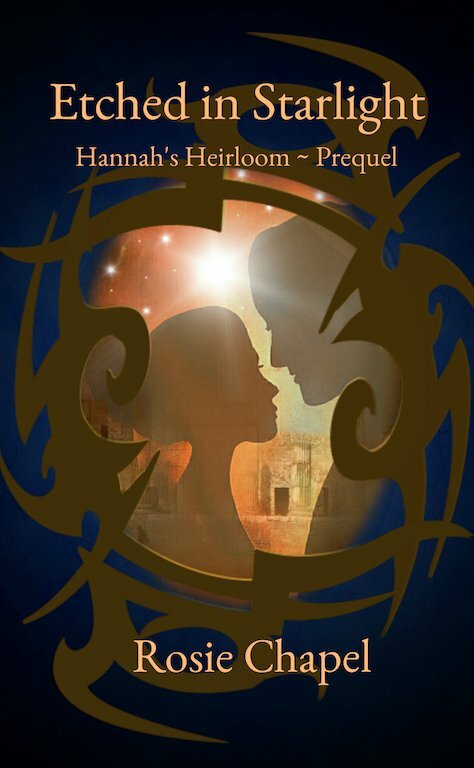 Hannah ~ Hundreds of miles away in Jerusalem, a city descending into chaos, a young girl is training to be a healer under the watchful eye of her uncle. Not your conventional Hebrew maid, Hannah bat Avigail, forgoes traditional feminine pastimes, spending her days treating all manner of wounds and ailments. Relishing the challenge, Hannah dreams of becoming a physician. The city is rife with dissent and clashes between advocates and opponents of Roman rule are commonplace. Every day Hannah and her uncle deal with injuries more typical of a battlefield than a civilised society. Worse, her brother and his friends are caught up in the violence and she fears for their lives. Deprivation and disease add to the increasing instability, inflaming the agitators and encouraging radical groups to join forces hoping to oust the Romans once and for all. In a desperate bid for weapons, a band of rebels venture into the desert, to a fortress guarded by a Roman garrison. 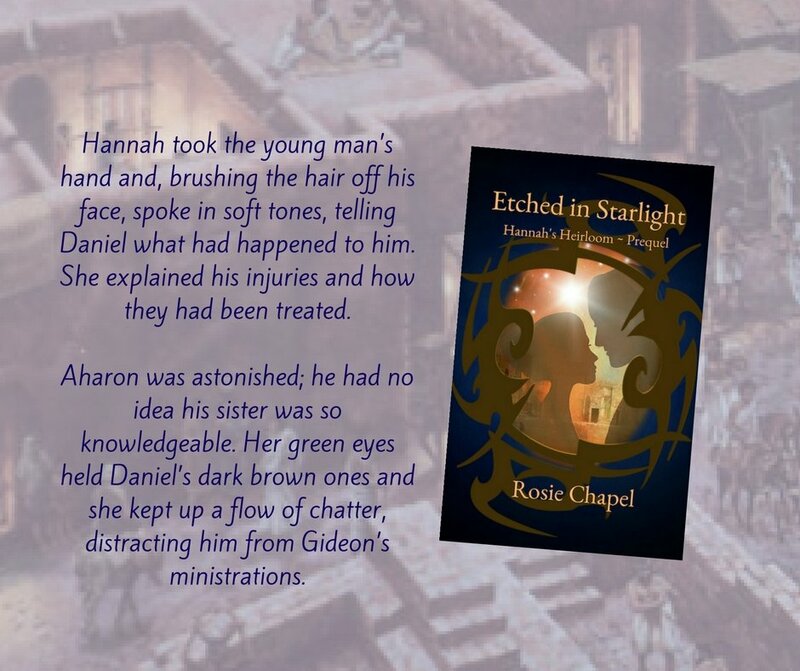 Hannah’s brother refuses to leave his sister alone in an increasingly lawless city and so she travels with him, accepting that, if nothing else, her skills as a healer will probably be required. Masada ~ In the aftermath of the attack on Herod’s citadel, Hannah finds and, against her brother’s wishes, treats three badly injured soldiers. Unexpectedly, one of them touches something deep inside her; something that, despite him being an enemy and a captive, she cannot ignore. Maxentius regains consciousness to the knowledge that this impregnable citadel has fallen and that he is likely one of only three of his garrison to survive the ambush. Uncertain of his future and in a haze of agony, he realises he is in the care of a young woman. A young woman, whose startling green eyes and impish smile, will turn his world upside down. In the days that follow and against impossible odds, they come to realise that they are more than healer and captive, their fate already etched in starlight.